$10 Off $40 At Target Online! 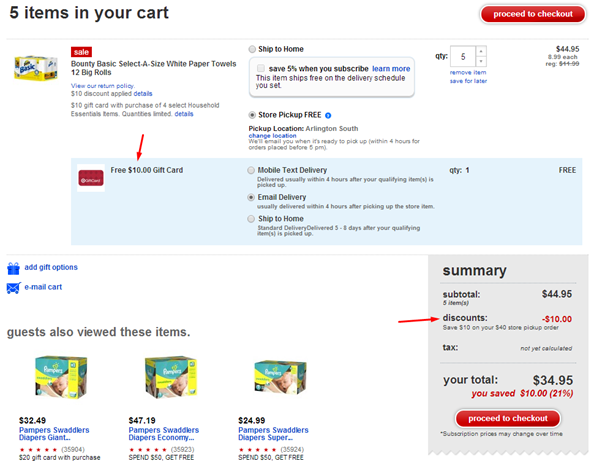 You are here: Home / Great Deals / $10 Off $40 At Target Online! Wow! Nice! This week when you order online from Target you can get $10 off $40 and FREE in-store pickup!